Introducing Oakley Airbrake, a performance snow goggle with an interchangeable lens design that helps you adapt to the environment and enjoy the best vision possible. Oakley Switchlock Technology makes lens changing fast and easy, and two lens colors are included with each goggle so you'll be ready for a range of conditions right from the get-go. 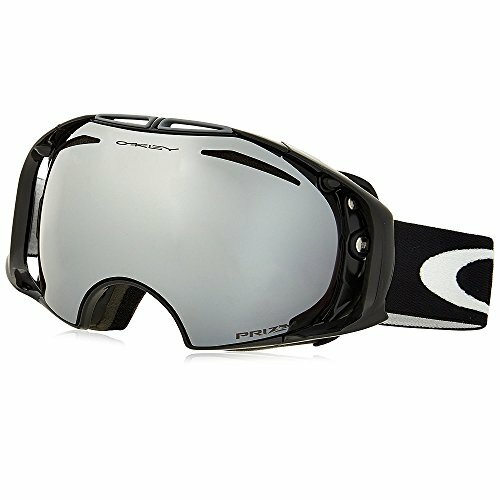 The Oakley Airbrake snow goggle has an interchangeable lens design that lets you adapt to any light condition and match your vision to the environment, and it utilizes Switchlock Technology to make lens changing quick and easy. Interchangeable lens designs are nothing new for goggles but conventional technology puts you at a disadvantage. Impact protection can be compromised. Uneven pressure can distort the lens shape, altering the optical properties and corrupting your vision. Changing the lens can be a real pain. Oakley solved all these problems with Switchlock Technology. Switchlock Technology offers the most elegant and simple solution, and it does so while maximizing impact protection, eliminating visual distortion and giving you a fast and easy way to swap out the lens. Your vision will be razor sharp and accurate, and you'll have protection that meets the gold standard: ANSI Z87.1 rated impact resistance. Airbrake is optimized to fit medium to large faces, and the architecture offers all-day comfort.